Summary: University of Rochester researchers report low levels of electrical stimulation delivered to areas of the brain responsible for movement can instruct an appropriate response, replacing signals for sensory processing. The brain’s complex network of neurons enables us to interpret and effortlessly navigate and interact with the world around us. But when these links are damaged due to injury or stroke, critical tasks like perception and movement can be disrupted. New research is helping scientists figure out how to harness the brain’s plasticity to rewire these lost connections, an advance that could accelerate the development of neuro-prosthetics. A new study authored by Marc Schieber, M.D., Ph.D., and Kevin Mazurek, Ph.D. with the University of Rochester Medical Center Department of Neurology and the Del Monte Institute for Neuroscience, which appears today in the journal Neuron, shows that very low levels of electrical stimulation delivered directly to an area of the brain responsible for motor function can instruct an appropriate response or action, essentially replacing the signals we would normally receive from the parts of the brain that process what we hear, see, and feel. The findings could have significant implications for the development of brain-computer interfaces and neuro-prosthetics, which would allow a person to control a prosthetic device by tapping into the electrical activity of their brain. To be effective, these technologies must not only receive output from the brain but also deliver input. For example, can a mechanical arm tell the user that the object they are holding is hot or cold? However, delivering this information to the part of the brain responsible for processing sensory inputs does not work if this part of the brain is injured or the connections between it and the motor cortex are lost. In these instances, some form of input needs to be generated that replaces the signals that combine sensory perception with motor control and the brain needs to “learn” what these new signals mean. A similar approach is employed with cochlear implants for hearing loss which translate sounds into electrical stimulation of the inner ear and, over time, the brain learns to interpret these inputs as sound. In the new study, the researchers detail a set of experiments in which monkeys were trained to perform a task when presented with a visual cue, either turning, pushing, or pulling specific objects when prompted by different lights. While this occurred, the animals simultaneously received a very mild electrical stimulus called a micro-stimulation in different areas of the premotor cortex – the part of the brain that initiates movement – depending upon the task and light combination. The findings could have significant implications for the development of brain-computer interfaces and neuro-prosthetics, which would allow a person to control a prosthetic device by tapping into the electrical activity of their brain. NeuroscienceNews.com image is in the public domain. The researchers then replicated the experiments, but this time omitted the visual cue of the lights and instead only delivered the micro-stimulation. The animals were able to successfully identify and perform the tasks they had learned to associate with the different electrical inputs. When the pairing of micro-stimulation with a particular action was reshuffled, the animals were able to adjust, indicating that the association between stimulation and a specific movement was learned and not fixed. Funding: The study was support with funding from the National Institutes of Neurological Disorders and Stroke. Co-investigators included Kathleen McAvoy, Antoine Besnard and Alexa Veenema. University of Rochester “Electrical Stimulation in Brain Bypasses Senses and Instructs Movement.” NeuroscienceNews. NeuroscienceNews, 8 December 2017. 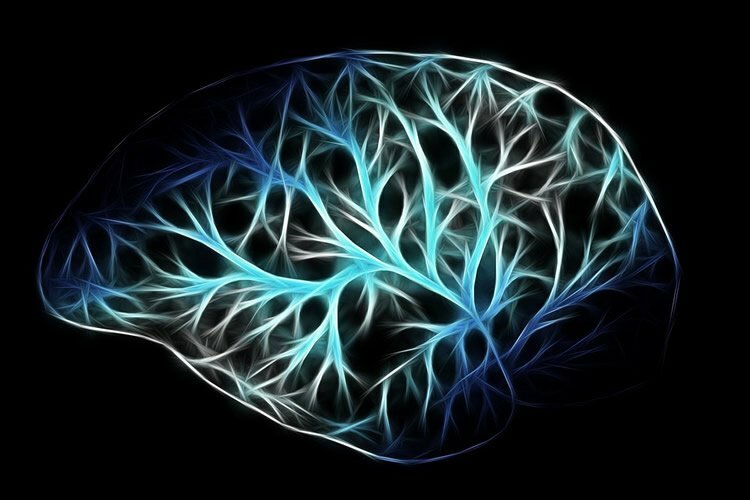 University of Rochester “Electrical Stimulation in Brain Bypasses Senses and Instructs Movement.” http://neurosciencenews.com/senses-dbs-movement-8134/ (accessed December 8, 2017). The premotor cortex (PM) receives inputs from parietal cortical areas representing processed visuospatial information, translates that information into programs for particular movements, and communicates those programs to the primary motor cortex (M1) for execution. Consistent with this general function, intracortical microstimulation (ICMS) in the PM of sufficient frequency, amplitude, and duration has been shown to evoke complex movements of the arm and hand that vary systematically depending on the locus of stimulation. Using frequencies and amplitudes too low to evoke muscle activity, however, we found that ICMS in the PM can provide instructions to perform specific reach, grasp, and manipulate movements. These instructed actions were not fixed but rather were learned through associations between the arbitrary stimulation locations and particular movements. Low-amplitude ICMS at different PM locations thus evokes distinguishable experiences that can become associated with specific movements arbitrarily, providing a novel means of injecting information into the nervous system.